Who needs a soul mate when you have a swim mate? That’s why you have got to spread the word and get a swim date for every night of the week! 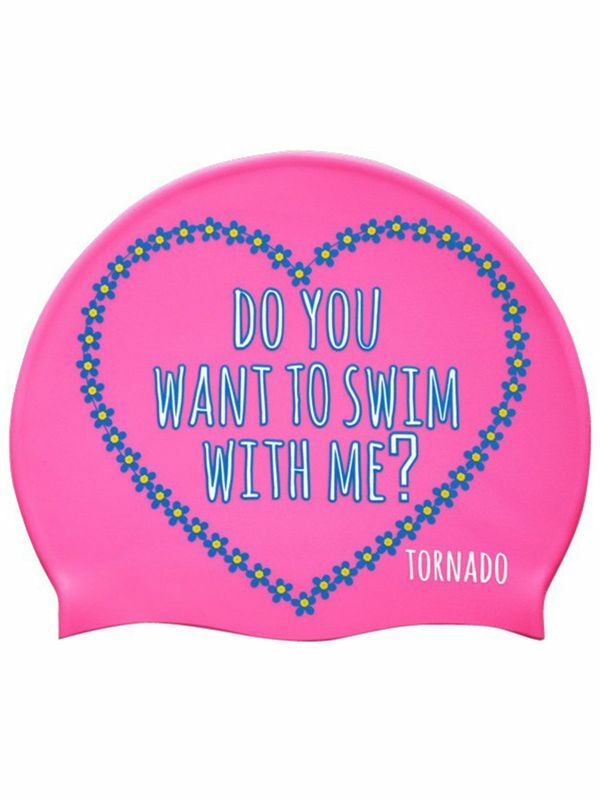 The flamingo pink Tornado Swim Mate Swim Cap features a heart of navy blue and sunshine yellow flowers circling the greatest of all questions: “do you want to swim with me?” written out in magenta and snow white lettering. With a modern magnolia white Tornado logo at the front, this look is sure to get you compliments and (new swim BFFs!) every single time you put it on!